Universal high-pressure gasket (C-super) for use in a wide range of industrial applications. 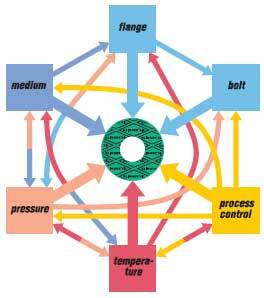 steam, gases, fuels, alcohols, hydrocarbons, lubricants and refrigerants. The thickness decrease at an ambient temperature of 23°C and at heating up to 300°C is measured. 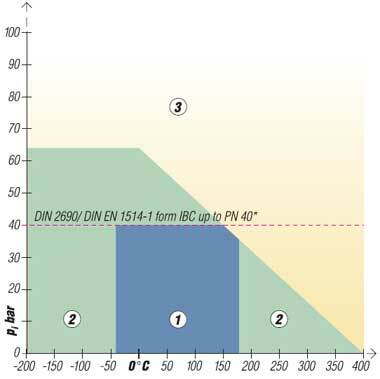 The indicated thickness decrease at 300°C refers to the thickness obtained after loading at 23°C. surface pressures must be applied to the gasket. longer life than understressed gaskets. for steam and/or water applications. surface pressure of about 30 MPa. In such cases the gasket should be as thin as is practicable. For reasons of safety, we advise against the re-use of gaskets. 2.0 mm, 3.0 mm, other thicknesses on request. These gaskets are available in any size and corresponding sheet thicknesses, also flanged and PTFE-enveloped . 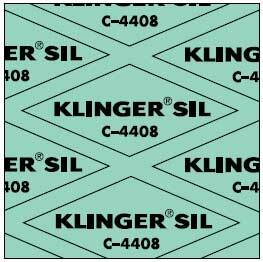 The standard surface finish of the material is such that the surface has an extremely low adhesion. On request, graphite facings and other surface finishes on one or both sides are also available.